These 10 shops are your surest bets to find the freshest catch of the day. The store opened in 1989 to “serve all Asian needs” and moved to Plano in 2006. It usually stocks 40 species and sells live tilapia and catfish from freshwater tanks. 240 Legacy Dr., Plano. 972-517-8858. asiaworldmarket.com. The eponymous Bob opened his store in 1950. It’s now operated by the family of Juan Argueta. It carries 30 species and specializes in custom-cut seafood. Shipments arrive every Monday, Thursday, and Saturday. Specialty fish include catfish and buffalo fish, which is a freshwater scale-fish from Texas lakes and rivers. It teaches classes for business customers. 2536 S. Second Ave. 214-421-4812. Owner David Conger has worked as a commercial fish marketer for most of his life. He operated in Rowlett for four years before moving to Plano in 1994. His shop offers at least 20 fresh species every day and close to 120 frozen varieties. The shop sells more than 8,000 pounds of crawfish per week during the busy season (January until the Fourth of July). It also sells premade crab cakes, 16- to 20-count Cajun-style shrimp steamed daily, and in-house smoked salmon. It’ll vacuum pack your fish for freezing, and the store offers crawfish cookout party services. 700 Alma Dr., Plano. 972-424-3474. You can’t ignore the chain. Both local stores are stocked with 70 varieties of saltwater and freshwater fish and shellfish. They do a whole fish cut to order and will even steam or marinate a fish while you shop. Whenever possible, their fish has been out of the water for less than 48 hours, and they buy directly from fishermen who support sustainable fishing practices. They’re a good source for seasonal species such as Alaskan king crab, Copper River salmon, and halibut. 320 Coit Rd., Plano. 469-241-8300; 5750 E. Lovers Ln. 214-234-7000. Multiple locations. centralmarket.com. The hottest foodie grocery store in town offers not only hard-to-find produce, fruit, and Asian specialties, but the seafood department also carries anywhere from 60 to 100 species of fish, many of them whole. Its supply comes from all over the world and is not kept on ice for more than five days. Its prices are hard to beat on salmon and flounder. 2625 Old Denton Rd., Carrollton. 972-323-9700. hmart.com. What started out as a small family business in 1985 offering five species of fish is now two 45,000-square-foot stores with more than 50 species. Fish is delivered every day but Sunday. Whole fish on ice or in tanks are clean, deboned, and cut to order. Fishmongers offer tips on preparing fish with the store’s large variety of spices and sauces. 9780 Walnut St., Ste. 36. 972-671-7498; 2615 W. Pioneer Pkwy., Grand Prairie. 972-988-8811. hkmkt.com. The Japanese market supplies fish to many sushi restaurants, so don’t go looking for common species such as tilapia. 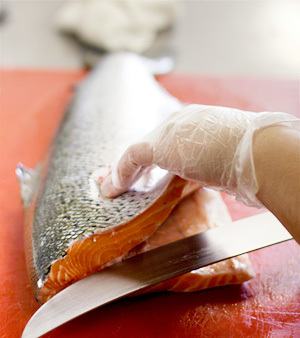 However, you will find great salmon and tuna and up to 20 other varieties of fish. Established in 1978, Kazy’s caters and also fills special orders for Japanese fish. 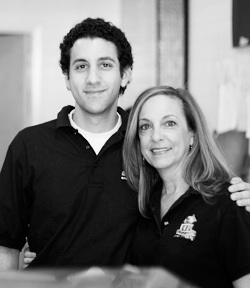 The motto: “If a customer wants it, Kazy has the connections to order it.” 9256 Markville Dr. 972-235-4831. Rex Bellomy opened this popular spot about four years ago. The little market with at least 20 species on hand every day has grown into a lovely lunch spot serving soups, crab cakes, and smoked salmon. Expect to find fresh seasonal fish such as halibut and Copper River salmon alongside sea bass, tuna, and oysters from Cape Cod. The store gets deliveries daily, sometimes twice a day. 5200 W. Lovers Ln. 214-351-6363. rexsseafood.com. 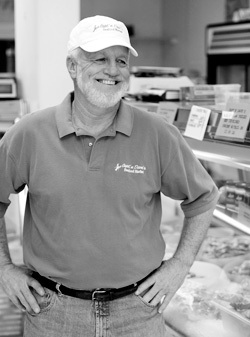 Family owned and operated since 1989, TJ’s buys fish from all over the world, directly from the source whenever possible. It stocks 10 to 12 fish daily and 12 varieties of shellfish. It specializes in seasonal species such as halibut, Chilean sea bass, and ahi tuna. It teaches a regular School of Fish class and offers free recipes. Go there for great hickory and alder-smoked salmon. It also does full-service catering and has extensive holiday menus. 11661 Preston Rd. 214-691-2369. tjsseafood.com. Here’s another chain that deserves mention. It emphasizes sustainability and third-party aquaculture verification for responsibly farmed fish. It operates three processing facilities and takes deliveries six days a week, offering between 15 and 25 species of fish, not including shellfish. It carries whole fish, and, at no extra charge, it’ll peel shrimp; shuck oysters; steam, season, and bone fillet; and skin fish. 8190 Park Ln., Ste. 351. 214-342-4850; 2201 Preston Rd., Plano. 972-612-6729. Multiple locations. wholefoodsmarket.com. This fish stew originated in the port city of Genoa (where it’s called “ciuppin” in the local dialect). More specifically, it originated in boats out at sea. Now you can find it in fine Italian restaurants everywhere. cioppino into bowls and serve with warm, crusty bread. Serves 6-8.